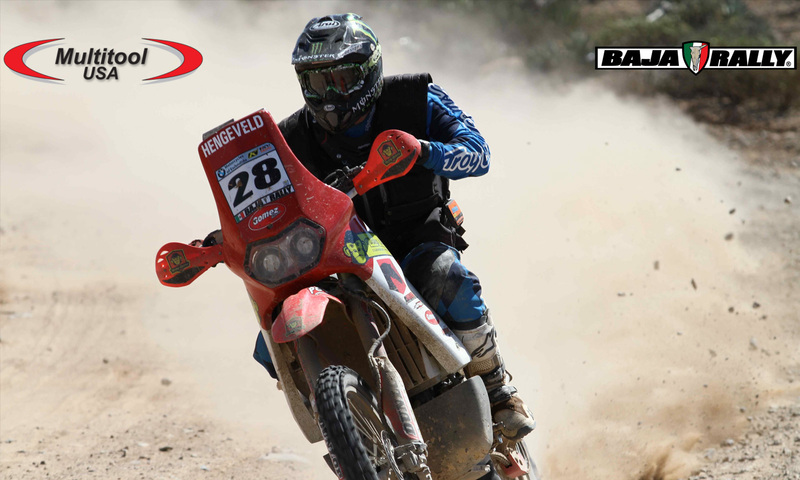 ENSENADA BAJA CA MEXICO- Bajarallymoto.com announced a sponsorship deal with Multitool-USA Racing to support the 2017 edition of BAJA RALLY, North America’s fastest growing off road rally-raid for motorcycles and UTV’s, October 9-14. The 1-year deal includes Multitool-USA co-hosting a mobile “courtesy shop” at technical inspection and each of 4 remote bivouac locations to provide a virtual fabrication workshop for all entered racers and their crews. At the heart of the new partnership and courtesy shop is the Multitool USA Belt & Disc Grinder that has been showing up in supercross vans and fabrication shops worldwide. 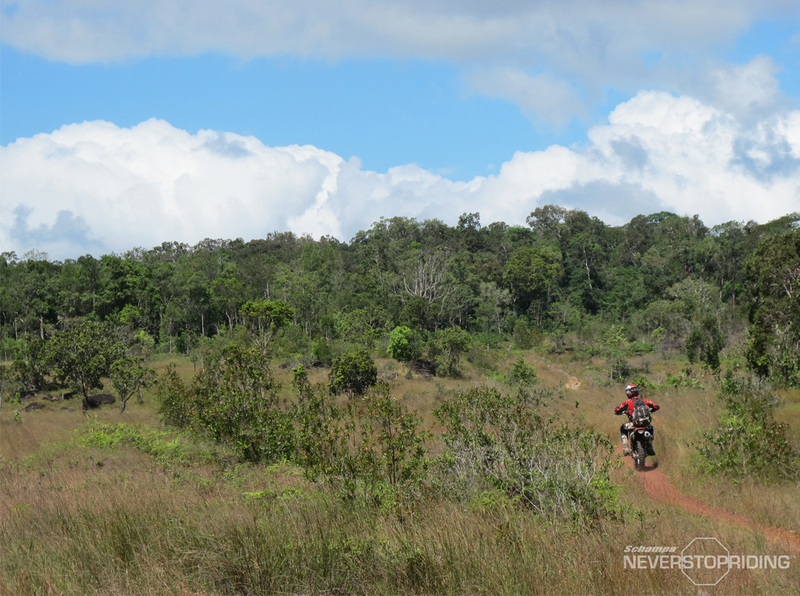 Additionally, future Off Road Hall of Famer and Baja racing legend Steve Hengeveld will defend his back-to-back BAJA RALLY Championships under the Multitool USA tent along with veteran racer and Multitool USA co-owner Joe Bolton. Rumors have swirled that Hengeveld will make his UTV debut at the upcoming BAJA RALLY although Hengeveld’s camp would not confirm this at press time. BAJA RALLY founder & chairman Scotty “Breauxman” Bloom expressed his enthusiasm about the news that the deal had been finalized. Dubbed “The Ultimate Finishing Tool”, the Multitool Belt & Disk Grinder is a favorite among mechanics and technical experts as an all-in-one, portable fabrication solution for race teams and shops. The units are found in semi-rigs and box vans at virtually every type of motorsport race you can think of. Multitool’s Australian heritage dates more than 3 decades and Bolton’s team has branded the machine as a must-have tool for motorsports racers and their crews. The idea for the BAJA RALLY “courtesy shop” came from the event’s “racer-experience” team whose mission is to enhance the effects of the BAJA RALLY’s dedicated volunteers, contractors and engineers to deliver a memorable, safe and convenient experience while maintaining the adventure and challenge that comes from a week long racing odyssey through the desert. Headquartered in La Mirada CA, Multitool-USA is the North American distributor for Multitool. Multitool’s patented design is the result of years of research by engineers who have specialized in belt grinding machinery. 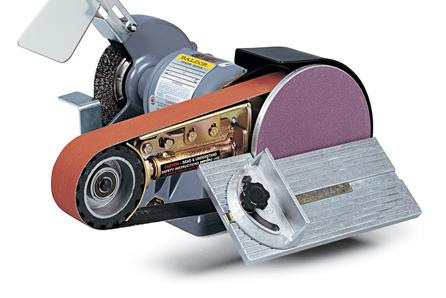 Superior design and the high-tech rubber used in the serrated contact wheel, plus the optimum cutting speed to match the advances in abrasive belt technology make it possible to remove almost any material up to 5 times faster. *EASILY FITS TO MOST 6″, 7″, and 8″ bench grinders, shaft size of 1/2 and ⅝. *A fitting kit including a universal adapter with radial slots to suit grinders is included in every unit.